Home style cooking and baking with real wholesome ingredients. From baked goods to catered dinners. 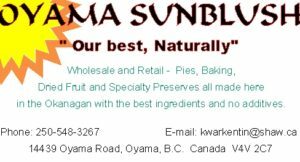 We make pies, cookies, tarts, muffins, bread, buns, soups, meals, canned goods and more. We use locally grown ingredients whenever we can. Scratch made everything!